Festivals are incredibly strict when it comes to allowing people to bring their own food and beverages into events. Security guards have seen in all, sun screen bottles filled with booze, fake tampons, and even wine holding bras. However this tried and true method left me with tears in my eyes, why had I not thought of this? Three weeks before Electric Zoo 2017, Alex, from New York, travelled to Randall’s Island, where he buried a water bottle full of vodka. He said he was inspired by pirates. 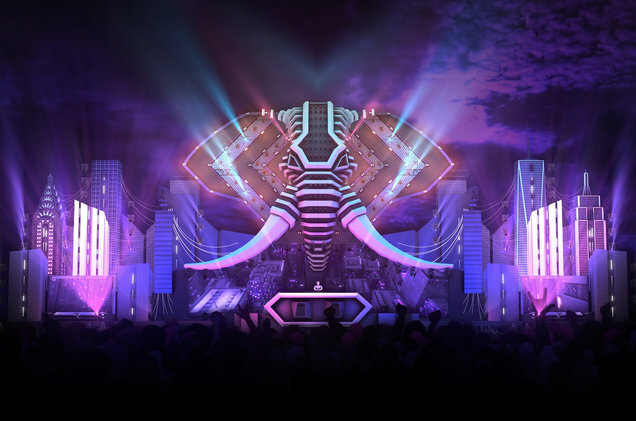 “I’ve been going to Electric Zoo for over four years now, so I know the layout very well,” he told LadBible. Alex said finding his vodka was easy enough, X marks the spot, but it was difficult to unearth the vodka without attracting the attention of security guards or CCTV cameras. “It was a bit of an operation, but in the end we got through it,” he said. 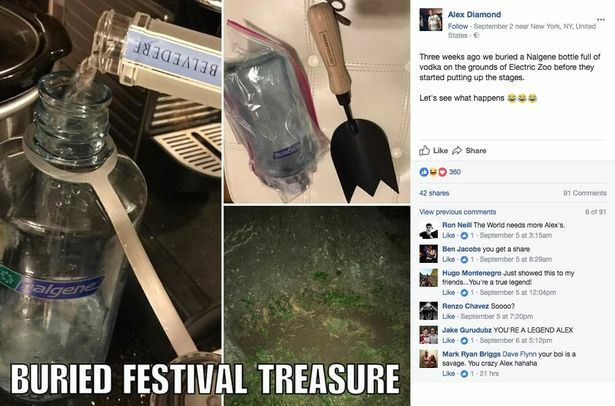 Alex is a modern day pirate, I wonder if security at the Electric Zoo Festival will be on the lookout buried treasure next year.